Elsewhere, there were a few hairpin issues, and one driver was left particularly vocal about driving etiquette. 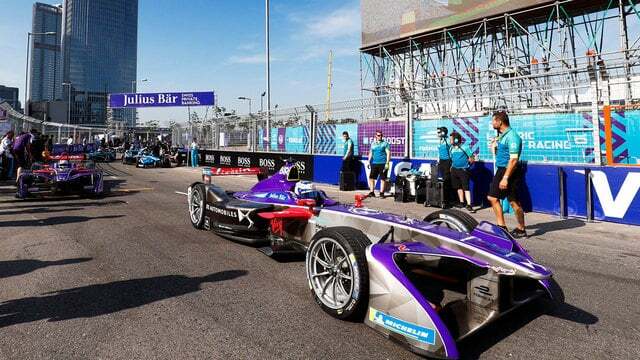 But to find out more, you just need to read on for lap by lap coverage of round one of the Formula E championship. Championship contenders Buemi and Di Grassi drop out of contention early on. Well, hello Formula E fans! Welcome to the 2017/18 season and the first of a double header in Hong Kong. Not sure I've ever felt quite so underprepared for an FBFB before. I'm coming into this sport new and have slept through all the build up sessions. But hey, I'm here, you're here, they're ready to go. Let's do this! 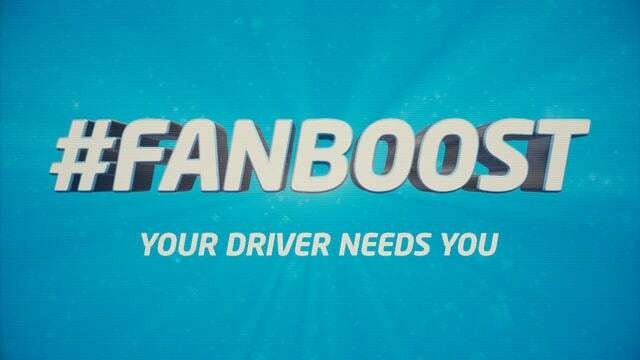 One of the fun things about Formula E is their FanBoost initiative, where you vote for your favourite to get extra power in the second half of the race. There's still time to vote for today's race, you can find out more here. Tweet from @FRosenqvist: Scrappy free practice and qualy for me today. Anyways happy with starting P5 after missing a lot of running. Excited for the race!!! @DSVirginRacing: On the grid and ready to go racing! Worth noting that Vergne actually took that pole position backwards, as he spun on the final corner just as he crossed the line. Doing it in style. Another key moment during qualifying was a red flag brought out by Prost. The Renault e.Dams driver hit the barriers, doing some damage to the car. He also picked up a trail of banner advertising, which flapped behind the car as he crawled round to the pits. Unfortunately for D'Ambrosio, he tried to pass at exactly the wrong time, picked up the tail end of the banner which swapped cars and ruined Jérôme's lap too. Live timing is available here. I've seen better looking tables but it's the numbers we care about. Busy and crowded grid out there as the drivers get strapped in, and the crews make their final preparations. Good crowds waiting for the action to begin too. Tweet from @TecheetahFE: Pole sitter is in the car - let’s go racing! Tweet from @lookingspiffy: Ah so we've gotten rid of Grid Kids already. Classy. Really forward looking. Grid is clearing, leaving just those colourful and shiny cars ready to race. Heidfeld runs to the outside and hoped for second into the first hairpin, but drops back for being on the wrong line. First couple of corners very clean, which is a great job. Traffic jam at the next corner though. Lotterer hit the wall and the rest of the cars following have all had to come to a halt. Session stopped. Not a surprise, with four cars just sitting there. Quite adorable, if disappointing for those drivers, to see how they just booped to a stop. Lotterer causing the issue, then the following cars didn't have the turning circle to undercut the parked car. The rest of the field has been called into the pit lane, for the red flag, so the track falls silent whilst the situation is cleared up. Oliver Turvey made a great start, from seventh on the grid, he moved up to third place. Apparently Mitch Evans said before the race that the chicanes here are a lot tighter than they were last year, which might explain the difficulties experienced by the back runners. The FIA are, according to a Dragon bod, just finalising the positions that the cars should restart in before we get going again. Alain Prost on changing the front wing on Nico's car: "Maybe we were not obliged to change but we did. A lot of cars have changed the front wing, but don't worry. We hope we're okay for the second start. I think we have a start behind the safety car, which in my opinion is better, because we can see it's a narrow track." Mark Preston, team principal of Techeetah: "It was a really good start, got away well, looked like he was holding Sam off for at least the lap we did. The incident happened, now we're all back in pit lane and we're just waiting for Race Control to give us an idea how they want to switch everyone around." From inside the car, sitting at the front of the queue in the pit lane, Vergne chats whilst also trying not to get distracted: "Trying to have a good restart and then trying to have a good race. Keep that position would be nice. Should be fine. Obviously the riskier start is the normal start. Should be fine, but you never know. Need to stay focused." For a sport that prides itself on an almost manic pace at getting everything done, this delay is a bit embarrassing. Tweet from @msadAndrettiFE: In case you missed that green flag... we promise it really was there for a hot minute. Re-start behind the safety car. Alejandro Agag: "These things happen in racing, it's frustrating how long it's taking to restart. It's complicated FIA rules, but you have to follow the book. We need to get the race going, people are waiting. It's very competitive, we have a lot of great drivers, they all want to win and we could see they are all really fighting for it. Street race, very narrow track, things happen." The cars are making their way slowly back out onto track now and rounding their way to the grid. Scratch that, they haven't gone to the grid but returned to the pit lane - now in the right order, and the safety car leads the way. The safety car leads the way and we are back slowly racing. The safety car has pulled in, Vergne backs up the field and we are go. Back up to speed, Vergne has a clean first hairpin, and the rest of the field follow along behind. Di Grassi and Abt bump into each other, the teammates jostling for position. Abt got ahead there for fifth place. Sam Bird is putting pressure on Vergne for the lead, and the pair are pulling out a gap to the rest of the pack. Rosenqvist has been turned round by Filippi at a hairpin, he was facing the wrong way but has got back on the racing line now. Abt muscles past Heidfeld and has moved up to fourth. The Audis are the cars everyone thought would have race pace, so far so true. Abt is already putting serious pressure on Bird, who is sticking his elbows as best as possible. Tweet from @HSouthwellFE: Daniel Abt is absolutely on one today - out qualified Lucas, brilliant move on Nick Heidfeld just then, hunting down Oliver Turvey. No kind of second driver work here. Bit further back, big rivals Di Grassi and Buemi are 6th and 7th with just under a second between them. D'Ambrosio is back out on track, a lap down on the rest of the field. Tweet from @eracing_net: If you're watching along, you might have noticed there are no energy percentage graphics - it's because the sensor information was lost during the restart, teams also don't know what drivers have left. With disrupted radio due to the buildings here, it's in the dark. Luca Filippi - drive through penalty - caused a collision. Lucas di Grassi has come into the pit lanes early, looks like a problem on that car. He jumps out and climbs into his second car. It'll be a struggle to get that to the end, surely. Oliver Turvey is dropping down the order rapidly, he was doing so well! He's called into the pit lane, if he can get there he can also change cars. Turvey has made it back to the pit lane, so he'll be in a similar position to Di Grassi from here. Sam Bird has swept ahead of Vergne for the lead, P1 for the DS Virgin after a great overtaking move. Team radio to Vergne: "Box this lap. Box, box, box. BOX THIS LAP." André Lotterer - drive through penalty - cutting the chicane. Vergne discards one car and is strapped into the second. Bit of dust flies up as he speeds out of the garage to start his second stint. Sam Bird comes into the pits at a bizarre angle, pit equipment and at least one person is knocked over. Bird carries on his way, jumping from one car to the next, and off he goes. Person looks okay, upright again. Replays show he dived out of the way just in time. A Renault has stopped out on track, it looks like its Buemi! He gets going again, shouting that the car shut down. Sam Bird has retained his lead in amongst all the pit stops, but the stewards are looking into that pit lane incident so there could be a penalty to come. There's a big fight now between Vergne and Heidfeld for second place. Heidfeld hustling the Techeetah. Abt had a slow pit stop and has dropped down the order, he's currently running P8. Sam Bird - drive through penalty - unsafe pit stop. Disaster for Bird, but now that makes the Heidfeld/Vergne battle for the win. Bird takes his penalty, driving through the pit lane. Sam Bird has done a great job to come out ahead! He keeps the lead! The power graphics are back! Filippi has used his FanBoost. He's running down in 12th at the moment. Di Grassi is running on 37%, compared to the rest of the field up in the 50s. These cars are proper tanks. Rosenqvist looking for a way past Engel, contact between the two. There's a train of cars behind Engel in fact. At some point, D'Ambrosio came into the pits again and retired. Great slipping and sliding from Vergne and Heidfeld as they run side by side through at least one corner. M Engel - Max power overuse. Di Grassi has been doing his best coast and energy saving, he's now on a similar energy % to the rest of the field. But it's not doing him any favours, because he is down in 18th place. Piquet dived his way through to move up to fifth, taking no prisoners. Rosenqvist tried to keep out the way and lost a place to Abt as well! Mortara takes a nice, smooth, penultimate lap overtake on Lynn to move into ninth place. Sam Bird wins Round 1 in Hong Kong! Vergne and Heidfeld follow in that order to take the remaining two podium spots. M Engel - Drive through penalty converted time penalty - max power overuse. Tweet from @JaguarRacing: That's the chequered flag and it's P5 for Nelson with Mitch coming home in P14. Sam Bird: "What a stress that was. There's just no grip in the pit lane. I turned in, just went straight on. Amazing result, I served my penalty, I thought he was in front. The radios were so bad. But we dominated the race, it was great. The car was great, thanks to all the DS team for working so hard. We didn't know what to expect when we came here, but what a great start to the year. That was stressful." 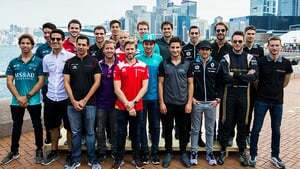 Nick Heidfeld: "Probably one of the most disappointing third places I've ever hand. I've just spoken to JEV, I don't think he stuck to the rules in changing direction when blocking once... I was furious in the car, to be honest. The pace was fantastic, this is why I'm a bit disappointed. There was more in it but it was a crazy race. I had a great start, like last year, but there was nowhere for me to come in, so I had to brake to avoid a big crash." Da Costa, Rosenqvist, Mortara, Lynn and Prost round out the top ten. The top three have boarded the party bus, Heidfeld and Vergne don't seem to be about to tussle so all is well. Drivers are making their way to the podium. Sam Bird jumps up to the P1 spot. Also Bibendum is there. Trophies, Sam Bird raises his above his head, big smiles. Champagne! Bibendum is loving it. It was a dodgy start, with the red flag delay, but once the action got going that was a pretty good start to the year. Interesting to see the two championship rivals Buemi and Di Grassi both dropping down the order, leaving the top five with some new faces. As a new viewer, the jostling for position was a pleasant surprise, those cars are pretty robust considering what they go through! Lots still to learn, but I'll be back here tomorrow to find out more. Do join me then!